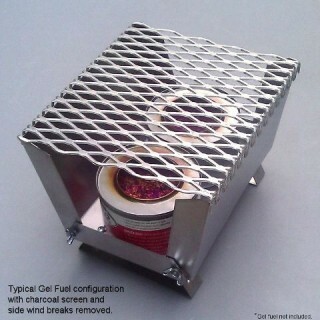 Compact, mini portable barbecue or gelled alcohol (i.e. 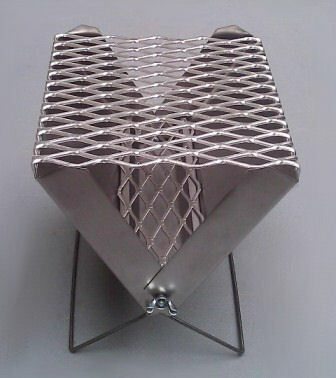 Sterno ® -type) cooking stove. Extremely lightweight. 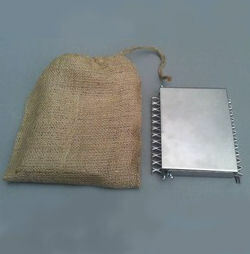 Great for backcountry hiking or camping, picnics at the beach, road trips, personal survival or emergency. 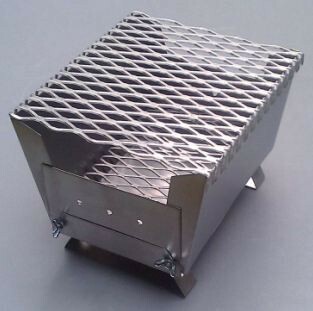 This light-weight, dual fuel BBQ / camp stove allows you to barbecue or create hot meals in locations not practical for even the smallest commercial grills. With 39 sq. in. of grilling area, you can enjoy a traditional charcoal BBQ on a remote beach or hike, at the tailgate party, or even in your own backyard. 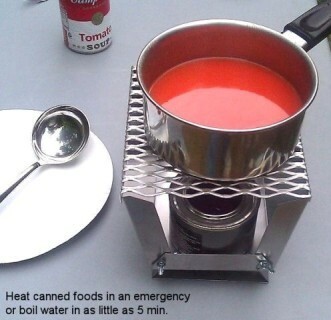 Remove the charcoal screen and use common chafing dish/fondue gelled alcohol fuel (such as Sterno® or Power Heat+ ®) to cook meals or boil water as part of an emergency preparedness kit. 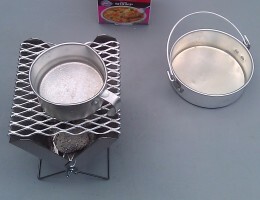 Had the apocalypse struck in 2012, you would've been the envy of the survivors with this portable cooking stove. 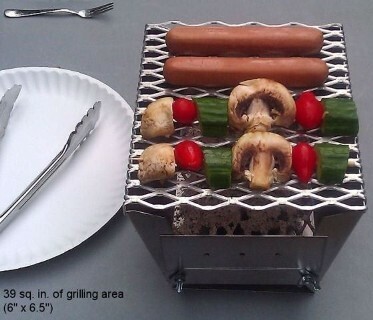 But now that 2012 ended without incident, celebrate with a backyard BBQ! 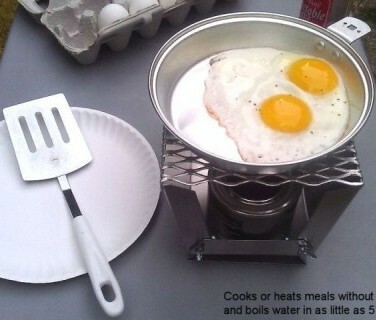 2.5" x 6.5" x 7.5"
Cooking area: 39 sq. in. 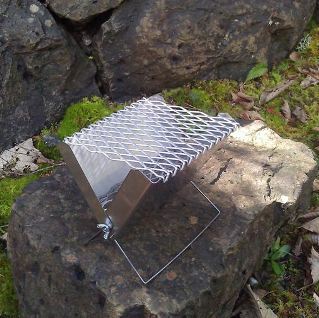 Enjoy a charcoal barbecue meal wherever you go. 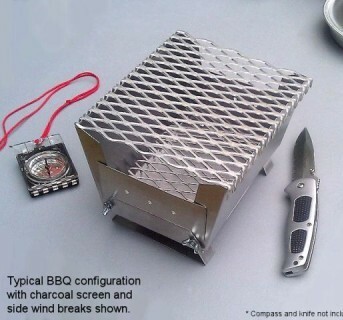 The Compact Mini Portable Barbecue is a light-weight self-contained barbecue that you can carry with you when you want to enjoy a barbecue on the go. 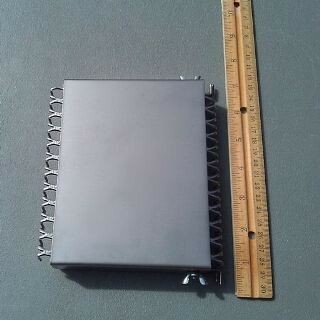 Over 27 sq. 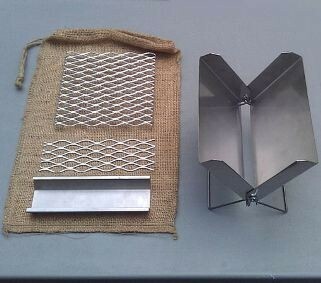 inches of cooking area folds to a flat 6"x5"x1" and weighs less than 1 lb. 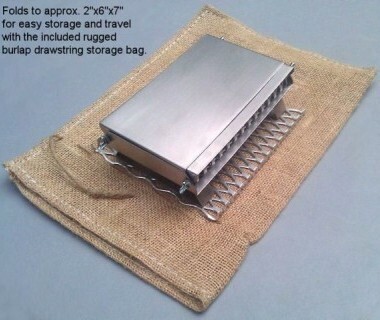 With it's rugged burlap storage case, you can pack it in your rucksack for a backcountry BBQ, bring it to the beach for a picnic, or carry it in a saddle bag on your next motorcyle road trip. 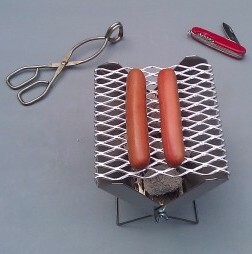 Compact Storage/Travel: 6" x 5" x 1"
Grilling area: 27 ½ sq. in.